RI Bankruptcy Lawyer John Simonian: If I’ve Been Turned Down For A Mortgage Modification Before Can I Try Again? Located in Providence, Rhode Island, the law office of John Simonian has been serving Rhode Island and nearby Massachusetts since 1992. Attorney John Simonian has been focused his practice on bankruptcy law for more than 20 years. He is a bankruptcy lawyer who prides himself on the quality of his work and obtaining beneficial results for his clients. If I’ve Been Turned Down For A Mortgage Modification Before Can I Try Again? Mortgage loan modifications are a great way to get a lower interest rate on your mortgage loan, and thus a lower monthly payment. You might also be able to take care of past due amounts within the process, rather than all at once, which can help with a negative cash flow situation. 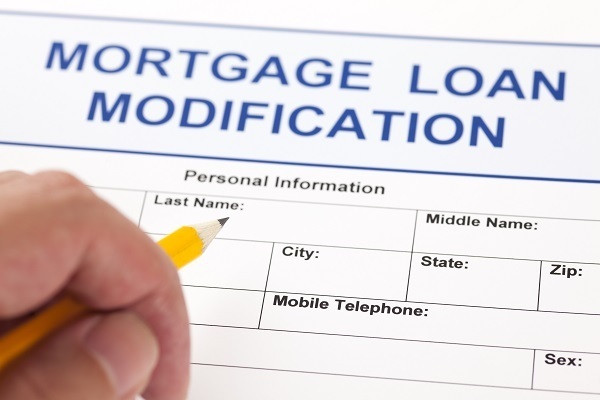 The process to request a modification requires you to contact your lender, provide some documentation, and follow up on the status of the modification. It is not at all unusual for a lender to receive your application and documents, and request the same documents again. When that happens, it is best to provide proof of delivery and request the matter be given top priority. It is also not unusual for a lender to receive all the necessary documents, yet deny your request for a modification. If this has happened to you, you should consider applying again. • Failure to update your application for modification, when requested to do so by the lender if your original application has grown stale. • Failure to sign the application or provide the account number. • Lack of documentation showing current income. One of the most common excuses given for not granting a modification is an incomplete application, either in documents provided or in the data contained on the application. For this reason it is critical to cross all of your “T’s” and dot all of your “I’s”. An experienced debt management attorney can help with this, and can hold your lender’s feet to the fire when “loss” of documents is claimed. We have experience negotiating loan modifications, and also in preparing the necessary documents. Our staff is diligent at follow up and practices meticulous document management. Let us help you lower your house payment today. A lower payment gives you breathing room in your monthly budget and can help you get back on track with all of your bills. This is the first step towards a healthy financial bottom line, and also relieves a great deal of daily stress. For more information about mortgage loan modifications, call us today or reach us online at www.law-ri.com. We will help by coming up with solutions that work for you and have multiple locations for more convenient one on one office visits. What If I Can’t Make My Chapter 13 Plan Payment? Can Commercial Property Mortgages Be Modified? Can I Modify My Second Mortgage? What Options Do I Have To Modify My Mortgage? What Exactly Is A Mortgage Modification? How Long Does A Foreclosure Take To Finish?